What role can inner peace play in life? Can it help us combat age, fatigue and depression? Peace advocate and spiritual leader Sri Chinmoy believed it could. In fact, he had so much faith in the power of inner peace that he dedicated his life to demonstrating that peaceful people could lead to a peaceful world. Through a dazzling variety of activities from art, literature and music to diplomacy, meditation and humanitarian aid he fostered peace amongst individuals in the hope that it would inspire nations to peace. In 1985 he transformed this philosophy of rapt introspection into a powerful challenge to impossibility. At the age of 54 he took up weightlifting. Over the ensuing years his achievements didn’t lessen, rather with age came increased strength. 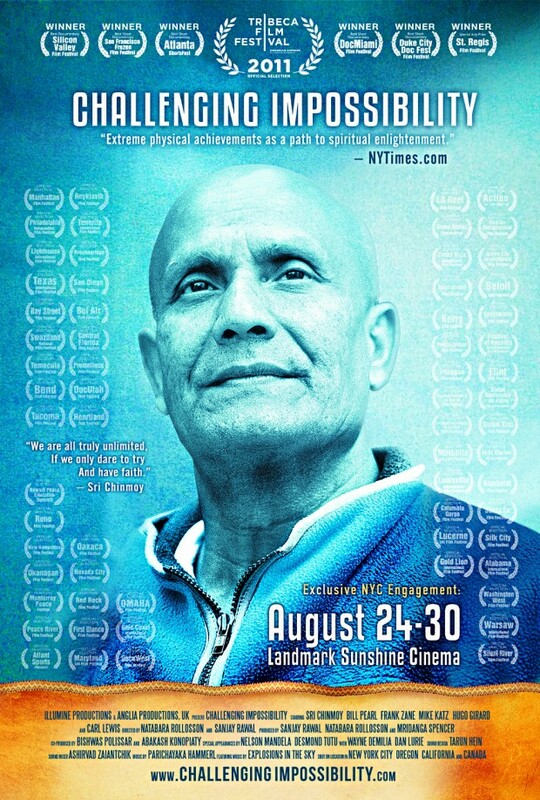 Sri Chinmoy defied all notions of age being a barrier to physical development. In fact, at the age of 76 he set personal bests in a number of lifts, not measured in the tens or hundreds of pounds, but in the thousands.